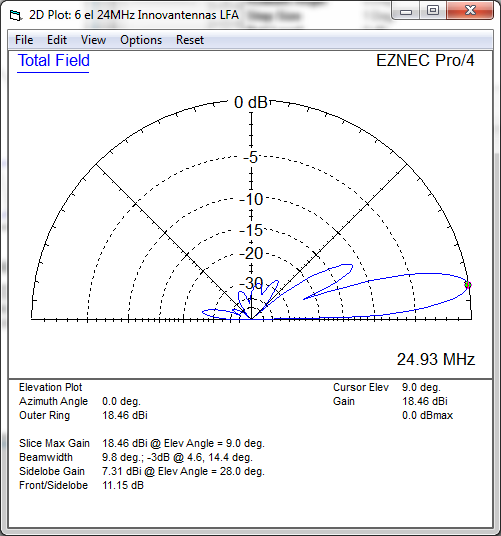 The G0KSC LFA Yagi is a major step forward in the development of the Yagi Antenna, it provides a low-noise front-end for your radio so you hear more weak signals while at the same time maximising all round performance. 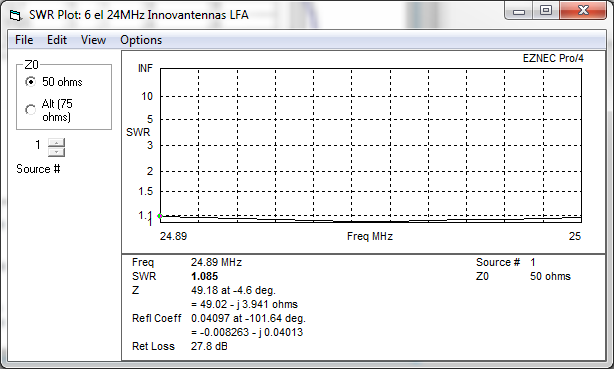 This 6 element 24Mhz LFA provides stunning performance across the whole 12m band (24.800 - 25.00MHz). Hard to beat with a direct 50 Ohm feed-point and no matching losses and suppression of unwanted noise!! 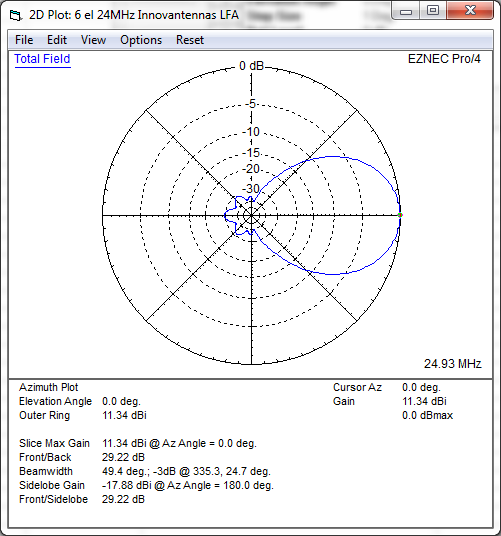 More information on the LFA Yagi can be found here. 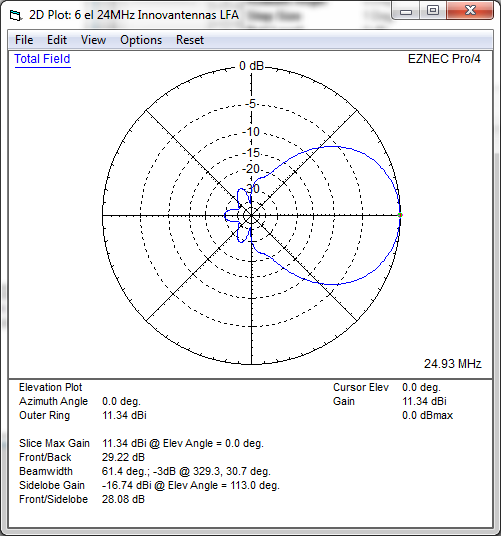 This antenna is made with elements that taper from 3/4 inch (19.05mm) to 5/8 inch (15.88mm) to 1/2 inch (12.7mm) and 3/8 inch (9.525mm) outer elements. The antenna has fully insulated elements which will ensure continuous, high performance for many years to come. Boom to mast brackets are included with all antennas which will support 2 inch (50mm) masts. Boom is 1.75 inch square (44.45mm) 10SWG (3.2mm) aluminum. Our antennas are constructed with the best quality materials in order that the best mechanical construction can be achieved, not the cheapest and most profitable! Even a digital caliper is used (with an accuracy of .01mm) to measure the elements during production to ensure they are within 0.2mm of what they should be, ensuring they work as well as our software model predicts (VHF).